Eu diria que no presente momento é possível afirmar que a tendência de criação de perfumes com Oud é semelhante a criação no mundo da moda da alfaitaria. É um processo onde não se encontra muita inovação e fugir muito do esperado espanta os clientes em vez de atraí-lo. Assim, investe-se na execução impecável e nos materiais utilizados, sendo que no caso da perfumaria o diferencial aqui não seriam nos naturais e sim na excelência dos sintéticos utilizados. Destaca-se criações assim com um pequeno detalhe, que é o caso do que acontece em Elie Saab Essence No 4 Oud. Parte da coleção exclusiva do designer libanês, Essence No 4 Oud é um terno de oud, possui o tom exótico e marcante esperado na temática porém não acrescenta nada de inovador. Ainda sim é um perfume bem construído, elegante, fluído em sua execução. Ele não possui um aspecto áspero ou um aroma que soa artificial como em algumas criações da temática. E é sua saída que acrescenta o toque especial para conferir um leve aspecto de distinção. No caso de Essence Oud, esse toque é um reforço no aspecto spicy que em vez de depender primariamente do aroma de açafrão acrescenta uma boa dose de pimenta preta, o que confere um aspecto picante, quente, levemente fresco e incensado. Não é listado rosa na composição, entretanto o acorde de oud parece depender secundariamente dela, com uma rosa do jeito que se espera num perfume árabe: com nuances de mel, tabaco e bebida. Ainda sim, é curioso que nos detalhes secundários haja uma nuance atalcada, algo que remete bem distante a um acorde cosmético. Como um detalhe, isso serve para criar identidade sem fugir do tema, que se encaminha para uma base amadeirada, incensada e com um aspecto resinoso. 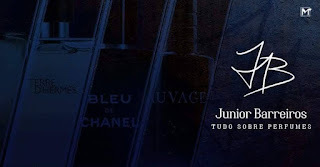 Assim como ternos, ter muitos perfumes de Oud acaba se tornando redundante a não ser que essa seja sua opção cotidiana de uso e que não haja problemas em se distinguir apenas pelos detalhes. Para quem considera um primeiro perfume de oud bem elaborado ou que deseja conhecer mais perfumes nessa temática esse é um que vale a pena colocar na lista para testar. 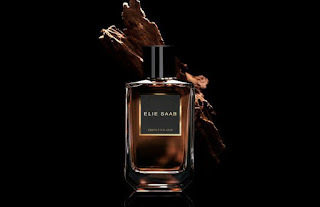 I would say that at present it is possible to state that the trend of creating perfumes with Oud is similar to the creation in the fashion world of the suit tailoring. It is a process where one does not find much innovation and running away too much of what is expected scare customers instead of attracting them. 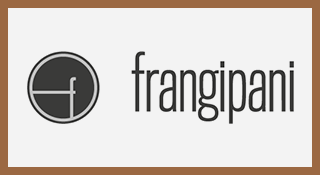 Thus, it is invested in the impeccable execution and in the materials used, being that in the case of perfumery the differential here would not be in the natural ones but in the excellence of the synthetics used. 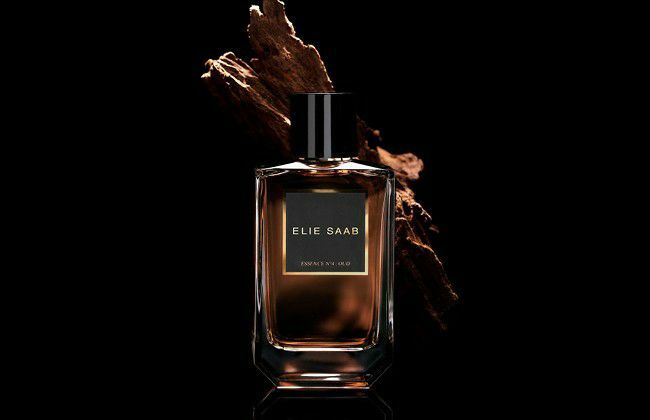 It stands out creations so with a little detail, which is the case of what happens in Elie Saab Essence No 4 Oud. Part of the exclusive collection of the Lebanese designer, Essence No 4 Oud is an oud suit, it has the exotic and striking tone expected in the theme but adds nothing innovative. Yet it is a well-built, elegant, fluid perfume in its execution. It does not have a rough aura or an aroma that sounds artificial as in some creations of the theme. And it is its opening that adds the special touch to give a slight aspect of distinction. In the case of Essence Oud, this touch is a spicy enhancement that instead of relying primarily on the aroma of saffron adds a good dose of black pepper, which gives it a spicy, warm, slightly fresh and a incense appearance. There is not rose listed in composition, however the oud accord seems to depend secondarily on it, with a rose the way it is expected in an Arab scent: with nuances of honey, tobacco and boozy drink. Yet, it is curious that in the secondary details there is a powdery nuance, something that has distantly a cosmetic touch. As a detail, this serves to create identity without running away from the theme, which leads to a woody base, incensed and with a resinous appearance. As well as suits, having many Oud perfumes ends up becoming redundant unless this is your everyday choice of use and there are no problems in distinguishing just by the details. For those who consider a first well elaborated oud perfume or who want to know more perfumes in this theme this is one that is worth putting on the list to try.